Another lovely morning and even though it was hot yesterday it wasn't too bad, hope the same for today. Today's image goes back to the Black Hills Central Railway in South Dakota. 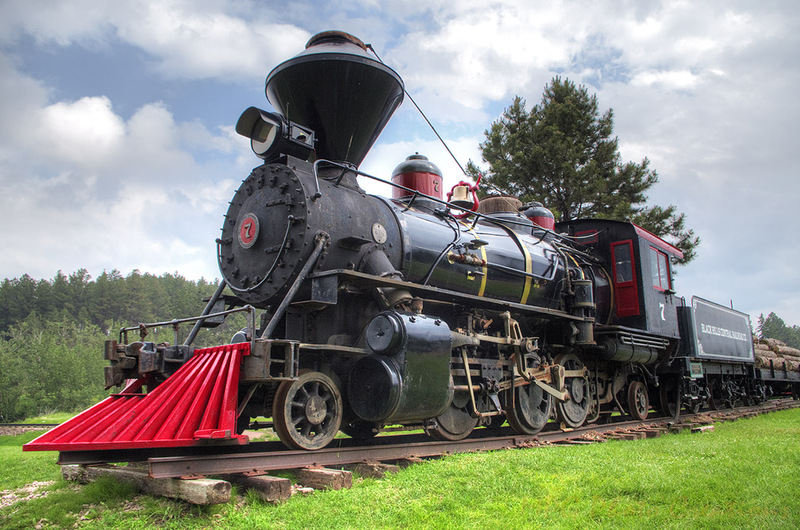 This is the locomotive that you see in a lot of their promotional photos for the 1880s Train. It is a Prairie type 2-6-2 that they acquired in 1962. This locomotive cannot pull as many cars and people on the grades as the tank engines so they only use it in the off seasons when there are not as many riders. It was surprising to see it sitting out in the elements but you can see the cap on the stack to keep rain out and it looked in pretty good shape.